All of your tickets now live within Account Manager. Log in to your account to view your tickets. These tickets cannot be found in Ticketmaster's app. 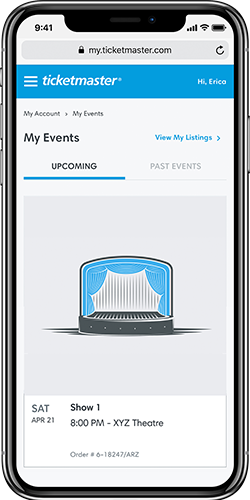 Add your tickets to your phone before you arrive at the theater. There may not be internet connection to rely on. Select your city & you will be redirected to your dedicated Account Manager portal. SAVE THIS LINK ON YOUR PHONE. You will need it all season long in order to access your tickets. Visit your Account Manager portal. To locate it, simply tap "SAVE THIS LINK TO YOUR PHONE" above this section, select your city, and it will link you there. Tap the Menu Icon and select Sign In. Enter your email address and password. 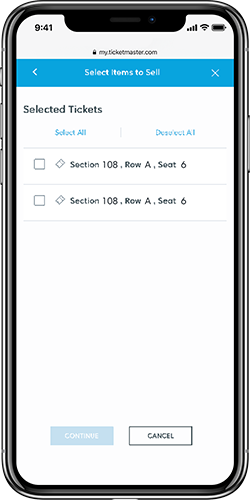 Quickly view and send tickets all from your mobile device. Paying your invoice is quick and easy too. 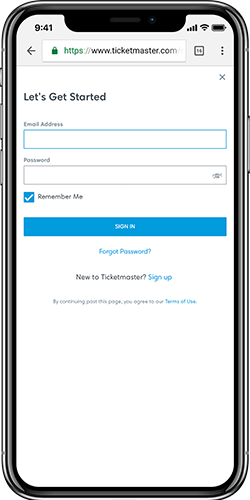 On the day of your performance- login to Account Manager on your smartphone, add tickets to your phone’s wallet and you’re ready for entry. Select My Ticket(s), then choose the show you’d like to transfer and tap Transfer Tickets. Select the tickets from your order that you’d like to transfer. Type the First Name, Last Name, Email and option note of the person you would like to send the tickets to. Tap Send. Because the designated link can only be used once, the ticket will be transferred to the first person who claims it. Once you are logged in Account Manager, select your show and tap My Tickets to display them on the screen. Tap Add to Wallet and you’re done! Present your digital ticket to enter the theatre. Login to your account in Account Manager. 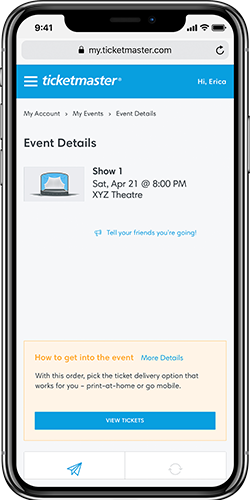 Select your show and tap Your Tickets to display them on the screen. Tap Save to Phone. You’re done! Present your digital ticket to enter the theatre. 1. Assume the venue won't have public access to internet, and add your tickets to your phone before you arrive at the theater. 2. Fully charge your mobile device the day of the show. 3. Display your ticket on your phone at the brightest screen setting possible, so the scanner is able to recognize it. 4. Transferring tickets to friends? Do it before you arrive so they are all set. 5. Keep your tickets out until you are seated. The usher may ask you for them after you are scanned in, so that they may find your seats for you! © 2018 THE JOHN GORE ORGANIZATION, INC.